Shake Weight review - What is the fascination with this easy to use at home, exercise weight? Home Fitness Shake Weight review – What is the fascination with this easy to use at home, exercise weight? Now the sun has decided to make an appearance and with time ticking on I am back on my crazy diet in order to shed the comfort drinking tyre. There is only so much my diet can do though and in order to remain toned it is totally up to me to find a balance of the exercises that will actually help me. I am no longer a gym bunny and just the thought of running on a treadmill in the same spot for 30 mins amongst other sweaty people sends shivers down my spine… thank you, but no thank you, there are other options, especially for single mums. Welcome, the Shake Weight review! With many different exercise video’s to choose from it can be hard to know which to choose and it may be hard to find one that targets a specific body area. I am not the only one to admit I like to see results immediately, I am far to impatient, which is why my diet is perfect for me! When the Shake Weight landed on my doorstep I couldn’t help but giggle, I am sure we all have, but do you know it does actually work!! Alex Curran (wife of footballer Steven Gerrard) is a great advocate (and the face) of Shake Weight, she openly admitted that she used the weight after the birth of her youngest child and noticed it had a great effect on her arms and shoulders. At the rate she slimmed down it was fair to say that the Shake Weight had a very positive impact on her toned arms. The thing I love about the Shake Weight is how convenient it is – the DVD that accompanies the boxed product simply slips into the dvd player and loads immediately. With the option of watching the short intro or jumping straight into the routines you can take it at your own pace. The female instructor (American) is very gung-ho and positive in her affirmations that using the product for the 6 minute routine daily will result in toned arms. As with any exercise dvd the instructors are terribly fit and there is no trace of fat on their bodies, however the fact I can feel the strain (pain!!) must be a good sign! After a week of continued use I started noticing that the 6 minute routine flew by – it is the equivalent of two ad breaks! Not only that but I noticed that I was able to easily follow the routine and I found myself putting more effort into exerting myself. Dare I say I did actually notice my arms feeling more toned! Not only does the Shake Weight help to tone your arms but it also improves your chest and shoulders also, it can help with your posture also. Working on inertia (def: the resistance of any physical object to a change in its state of motion or rest, or the tendency of an object to resist any change in its motion) the weight works well even with the slightest movement, for this it really couldn’t be any easier to exercise your upper body! 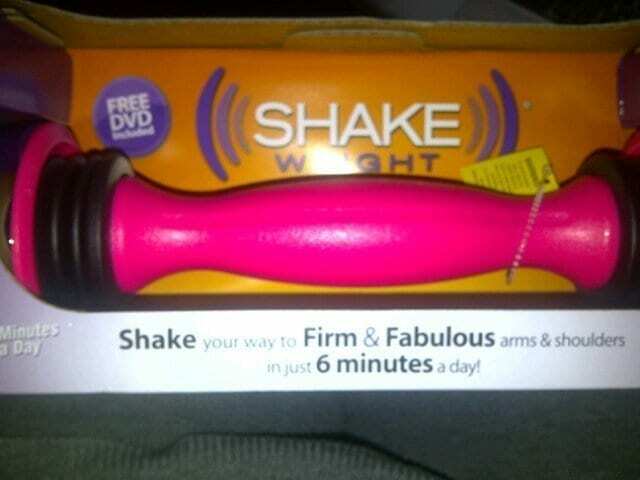 Priced around £15.99 from Amazon, Tesco, BHS and Amazon, or direct from www.highstreettv.com I could not recommend the Shake Weight highly enough – the pink weight is super girly (although it seems men have a huge fascination with the product and have no problem using the pink weight! 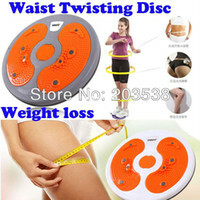 ), it is very very convenient and the 6 minute workout routine is easy enough for any non – gym junkie to follow.